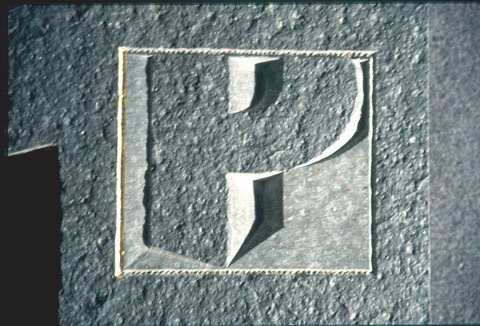 Entrance Sculpture for the offices of “Primary Capital” in Austin Friars, City of London. Raw Caithness stone,1800mm tall, 250mm wide, 75mm thick. Gold leaf. Green Oak base.